Out in South London is broadcast live every Tuesday at 6:30pm and repeated every Friday at 11am. Resonance 104.4 FM is a London based non-profit community radio station run by the London Musicians’ Collective. ResonanceFM describes itself as ‘the world’s first radio art station’ with a brief to provide a radical alternative to the universal formulae of mainstream broadcasting. 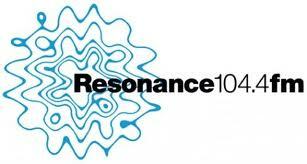 Resonance 104.4 fm features programmes made by musicians, artists and critics who represent the diversity of London’s arts scenes, with regular weekly contributions from nearly two hundred musicians, artists, thinkers, critics, activists and instigators; plus numerous unique broadcasts by artists on the weekday “Clear Spot”. It is easy to listen to Resonance 104.4 FM online here.